Magnetic algae scrapers can be your best friend or your worst enemy. On one hand, they remove most of that pesky algae off the walls of the aquarium without having to get your arm and half of your body wet. On the other, the pads of the scraper can can cause numerous scratches in both glass and acrylic setups, especially if you get a little overly excited with the back and forth motions of algae scraping. Fortunatey, the guys at SEE-CLEAR have a novel solution to this problem with their new Magnet Sleeve. 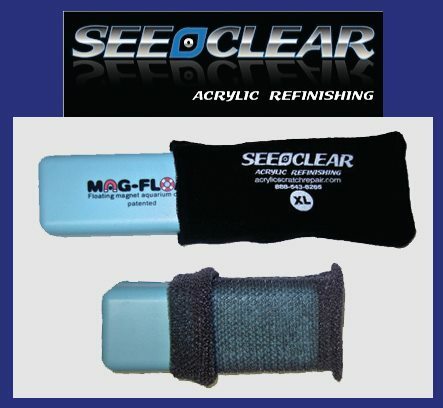 The SEE-CLEAR Magnet Sleeve is a very simple product. It is a soft sleeve that fits over an algae magnet and provides an acrylic-safe barrier between the often harsh pads of the scraper and the walls of your aquarium. It is washable and comes in four sizes to match all of the popular sizes of algae magnets. Despite the item’s instant marketability toward the acrylic aquarium crowd, don’t feel the need to ignore a the Magnet Sleeve just because you have a glass aquarium. Glass tanks are not invincible. They too can scratch at the hand of an algae magnet. The sleeve would work well on any magnet on any type of aquarium, so if you have even the slightest concern, why not check it out? Our only concern with a sleeve like protector such as this is how it might hamper the magnet’s cleaning abilities. Additionally, would the sleeve provide a false sense of security? We realize these two scenarios will vary wildly from user to user, but regardless of the potential drawbacks, we’d rather be safe than sorry. SEE-CLEAR is a company that specializes in refinishing plastics of all kinds, with a certain knack for acrylic. So, it’s only natural that their expertise would find some use in the aquarium trade. 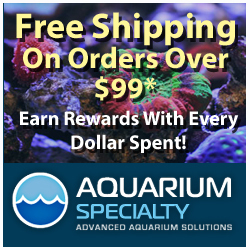 An excellent product for a grander purpose of cleaning your aquarium. A must-buy!